Internationally renowned calligrapher Thomas Ingmire transgresses the boundaries of painting as well as the beauty of language in this exhibition of artist’s books, calligraphic works, drawings and sketchbooks. For many years he has collaborated with writers and artists in the production of artists’ books that combine his calligraphy with original works of art. 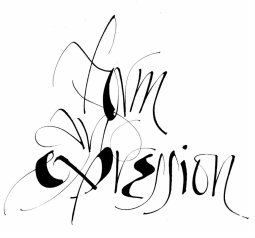 The exhibition will illuminate the evolution of Ingmire’s calligraphic process and provide insight into the awe-inspiring world of contemporary calligraphy.